This machine presents a seemingly simple structure : two independent oscillators and a third VCO modulated by one of these two oscillators can be mixed together to create a final multifaceted sound, particular drones, textures and rhythmic glitch. Via a switch for each oscillator we can select whether from a square wave or a triangular, while the other switches we can decide whether to make use of a diode to achieve a sound peak or a ramp (descending or ascending). 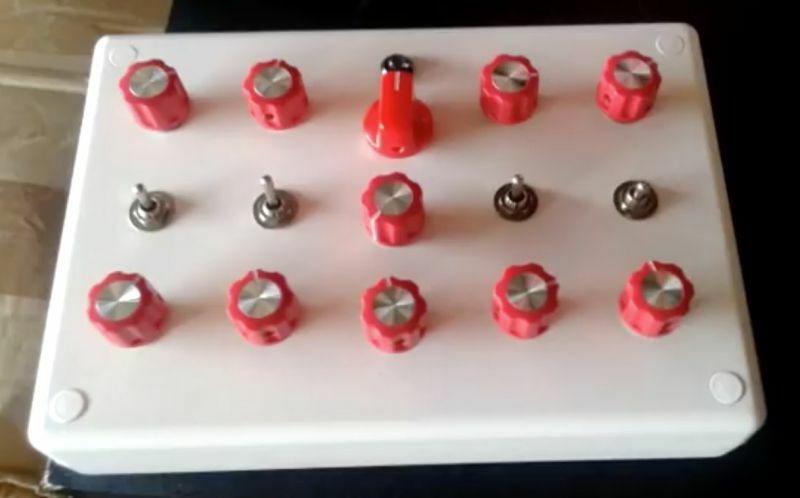 The fact of the diode switch to three positions, the center position inhibits it, while the other two decide whether the diode position. 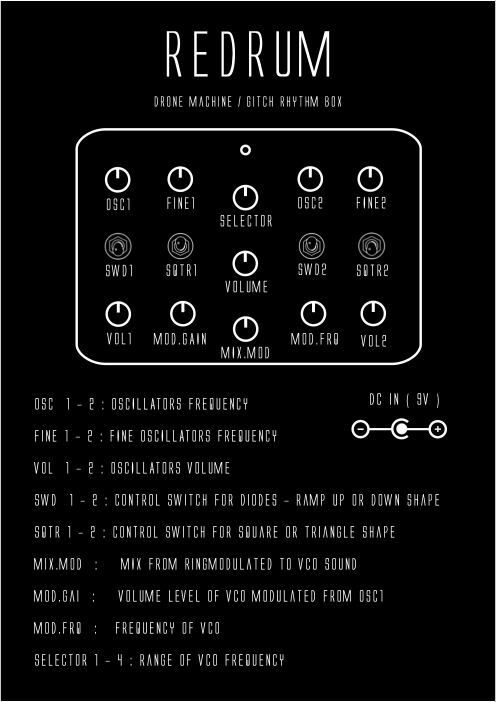 The third oscillator instead (VCO) is modulated by the first oscillator, and we can decide how much signal send to output via the dedicated knob, change the frequency with another knob, while the four-positions selector, we select the frequency range for it. Another knob mix the sound of the modulation VCO with a ring modulated sound of the two oscillators.